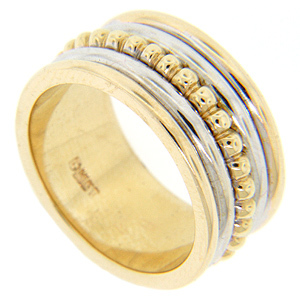 Yellow gold beads at the center of this estate 14K bi-color wedding band are flanked by white gold and yellow gold bands. 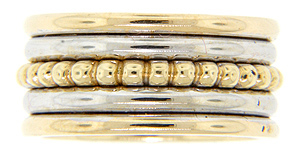 The band measures 9.5mm in width. Circa: 1980. Size: 5 3/4. Cannot be resized.